This well positioned 45 acre parcel that borders the "Haciendas Baru" wildlife refuge that has 452 meters of highway frontage on the recently constructed coast highway offers excellent potential for development. 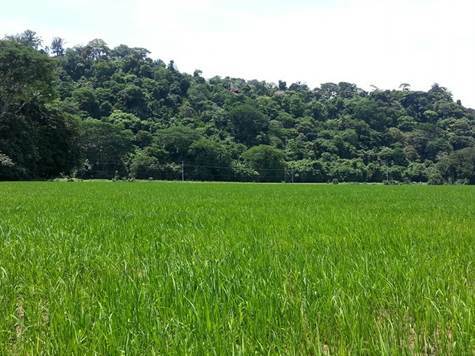 The topography is gently sloping toward the sea, and currently open land used for the cultivation of rice. Location is just 30 minutes south of Manuel Antonio National Park, which is the most visited tourist destination in the country, and adjacent to the Costa Ballena to the south, and minutes to the intersection that connects you to the road that leads to San Isidro, the second largest city in Costa Rica.